If you’re looking to invest in a few new make-up items this month, here are some of the good deals around at the moment. First up, Superdrug has some good deals in store, Rimmel nail polishes are down from £4.49 to £2.99. You get a free nail polish when you spend £6.0 on any other Barry M make-up. the colours to choose from are neon green and pink. There is also 1/3 off all products in the B. range. You get a free pair of sunglasses whe you buy three or more Bourjois makeup and its three products for the price of two. Over at boots, its 3 for the price of 2 on all 17 products,with the cheapesr item free. there is also some good deals to be had at The Body Shop with 50% off most products. Maybelline Buy 1 product and get the 2nd 1/2 Price, plus many more offers in various stores. I visited Canada in September and these are some of the beauty purchases I made. These are not available in the UK, so I thought I would try them out. I bought these eyeliners from Sephora, a pack of four mini liners. From top to bottom: Midnight black, Kaki Green, Psychedelic Purple and Nuage. I have been using these liners for a while now and I think they are quite good! They are soft and easy to apply and the pigmentation is just fab! I also got the above face brush from Sephora. It’s got really soft but firm bristles and is quite a good exfoliating and cleansing tool, and a way cheaper alternative to the ever popular Clarisonic. I use this with my facial wash/cleanser. I love tinted lip balms, and I had read a couple of good reviews about the Maybelline balms so I decided to try a couple .The top one called Grape Vine gives a bit of a purple tint, whilst the bottom, Pink Punch gives your lips a nice pink tint. They are lovely to use and very moisturising on the lips. Wonder why these are not available in the UK. 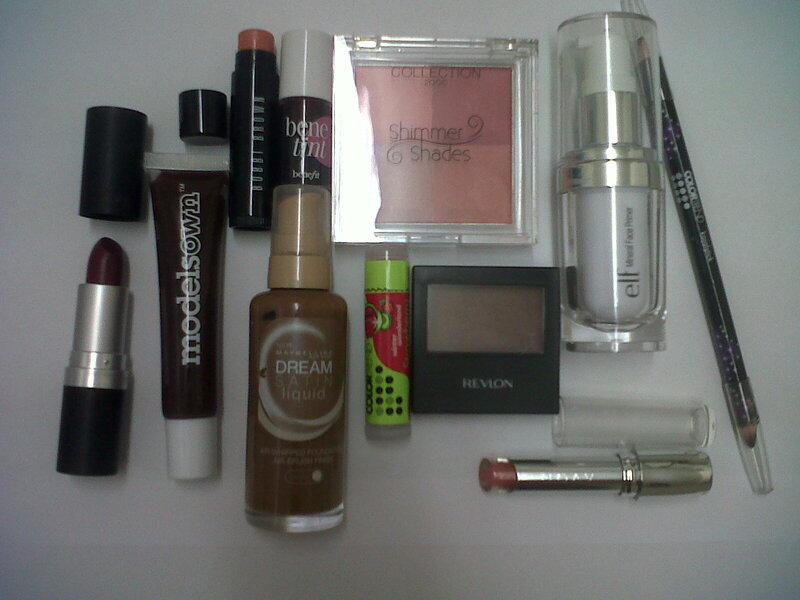 The above products are also in the tinted lip balm category. They are covergirl lipslicks in Hipster above and Daring below. Like the Maybelling balms, they also give your lips a hint of a tint and are very moisturiing. I thought I would try one of the wet and wild eyeshadows as reviews of these have been positive. The above is a trio of nice neutrals called Knock on wood. These are very pigmented and easy to apply as they blend well. The above products were purchased from Bath and Body Works. From left to right: Paris Amour body lotion and fragrance mist and White Citrus fragrance mist. Paris Amour has a lovely floral fragrance whilst White Citrus has a sharp citrus fragrance. Bobbi Brown Tinted Lip Balm in Citrus – This is a peachy-orange tinted balm which gives your lips a lovely subtle slightly shimmery colour and shine. Benefit’s Benetint Lip and Cheek Stain – This gives a subtle deep pink colour to lips and cheeks. Collection 2000 Shimmer Shades Blush in Blushalicious – I realy love this blush, it gives cheeks a really nice subtle colour. ELF Mineral Face Primer – A transparent primer which makes your skin feel smooth and poreless when applied. It makes the foundation application process easier and helps your foundation last longer. Avon Colourtrend Kajal Stick in Black and Warm brown – This is a double ended eyeliner with black on one end and a dark brown on the other. I like this liner because it is very pigmented and lasts longer than other eyeliners I’ve used. I sometimes use the dark brown as a lipliner. 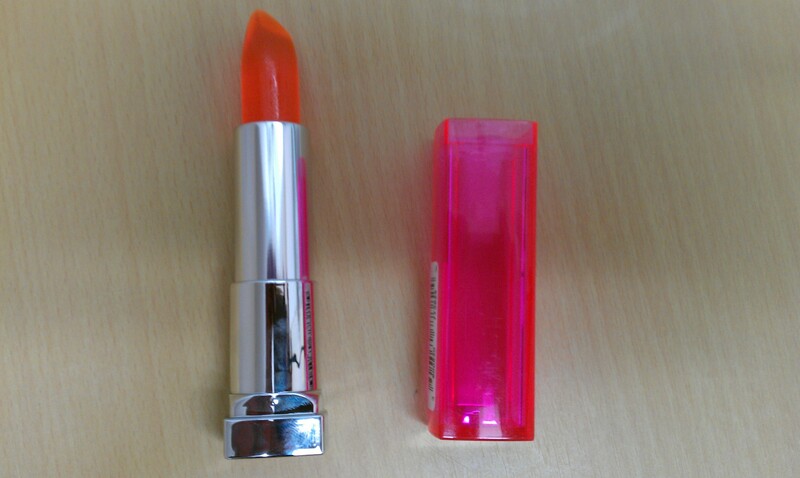 Avon Shine Attract Lipstick in Rose Bouquet P2 – This is like a lipstick and lipbalm in one. The lipstick has an outer transparent balm which gives shine and an inner core which gives colour. It’s very pigmented and gives a satin finish. Revlon Colourstay 12 Hour Eyeshadow in Sable – A neutral brown satin shade which blends very well and does last long on the eyelids. Avon Strawberry Sorbet Lip Balm – This clear lip balm is very moisturising, giving your lips a nice subtle shine. I use this before applying lipstick. Maybelline Dream Satin Liquid Foundation – This foundation applies like a dream! It gives skin a nice dewy finish and great coverage. Modelsown lipgloss in Blackberry – This gloss gives your lips high shine and colour, and is also moisturising. 2TrueGlossywear Lipstick in shade 10 – This is a very wearable glossy deep berry shade.